Metaball geometry can be natively rendered as a volume in mantra. Metaball rendering can be enabled by checking the Metaballs as Volume parameter on the Geometry tab of a geometry object. Any point attributes on the metaballs will be interpolated to the shading position in the same manner that point attributes are interpolated for metaball surfaces. Shadow map generation uses the Pixel Samples and Shadow Step Size parameters (in the Mantra Render Operator) to control quality and performance in exactly the same way they are used for surfaces. 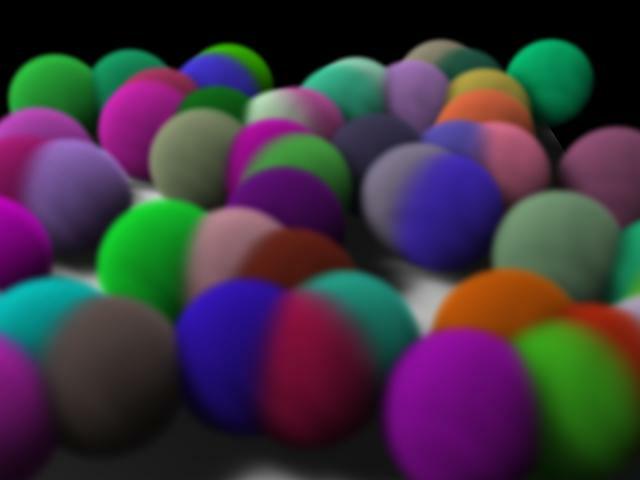 Since volumes often cast soft, diffuse shadows, it is often possible to use low-resolution deep shadow maps when rendering volumes, leading to much faster render times. Shadow map Resolution can be changed on the Shadow tab of a Houdini light.